Provide by The James River Basin Partnership – Video describes several different types of septic systems and their maintenance requirements. 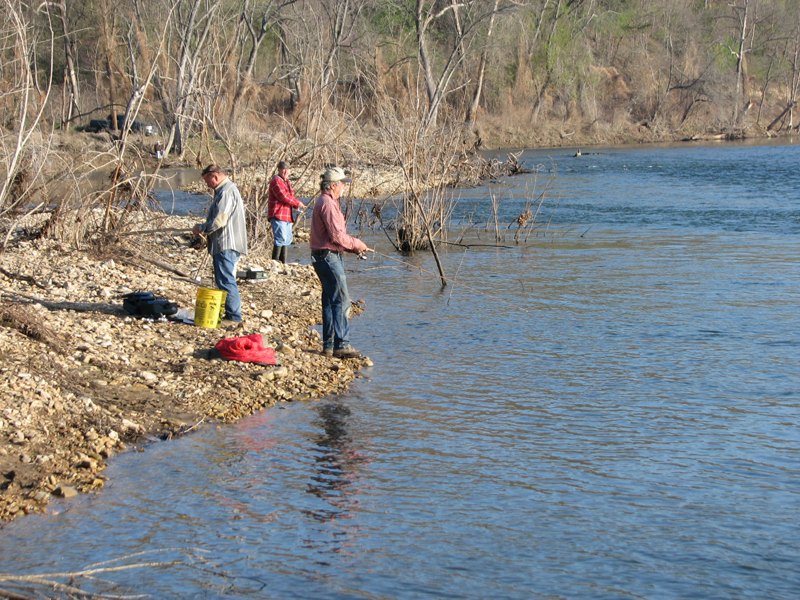 Produced by James River Basin Partnership, Table Rock Lake Water Quality, INC, and Watershed Committee of the Ozarks. Funds provided by TRLWQ 319 Grant. Rounding up the coffee, can’t get too motivated without it. I almost overslept this morning. We are heading back down to the same spot to give it another go and strike while the iron is hot. I’ll post up the report when I get back. Fishing was very light, speaking of light the fish shut completely off once the sun cleared the hills. I noticed on the mud banks they were hugging the shadowed side. I did bring home 8 nice ones, but it wasn’t a limit. They were hitting on sliders in white/pearl and swimmin’ minnows in smoke with a silver flake. 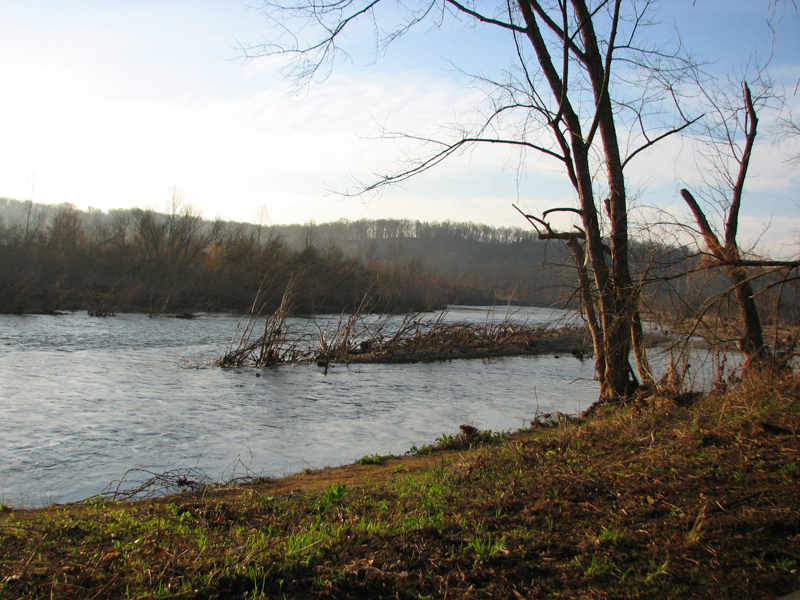 The water is fairly fast, making it hard to get small baits down to the bottom. These old boys had their limit, it was overnight fishing for them. The "Sparta Sportsman" had his luck as usual! 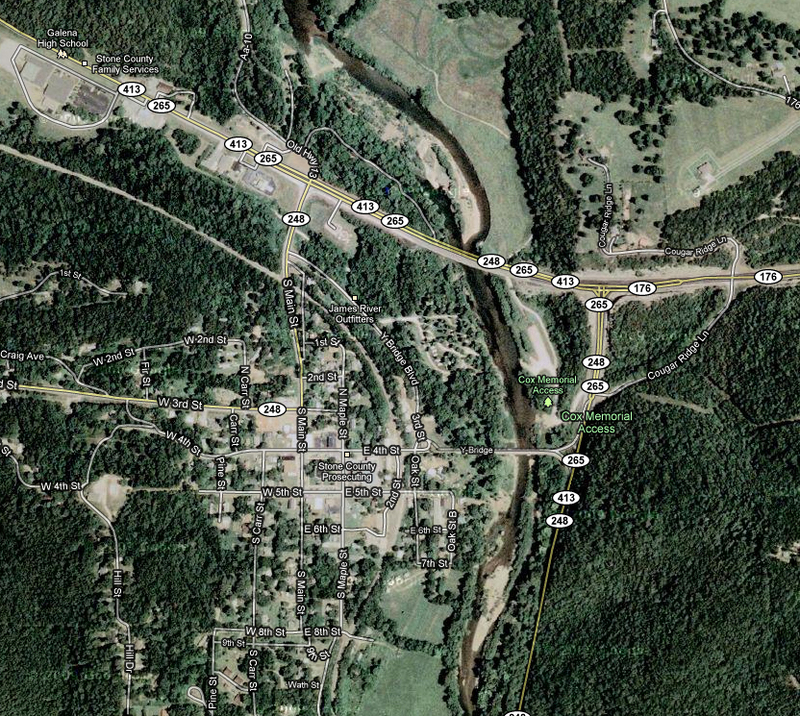 Fished on Beaver Creek up stream from the 160 bridge. We caught right at 20 with half being sows, the eggs are bloody and ready to drop right away. Those of you who are waiting for the run to really get going will be surprised to find it is already over. The water temp is right and with the warm days it will be over, at most, in 10-14 days. Small 1 -2 lb females 60% and the rest are smaller males. Spoonbill were still giving business to those on the hunt in and around Ashers up to Galena in the James. Craig and Dylan Mashburn reported that a pair of 50# Spoonbill were landed May 29, 2010 under the Y Bridge area! That seems to be the story from most everyone here in Galena. Lots of fresh carcasses laying around, another visual confirmation. 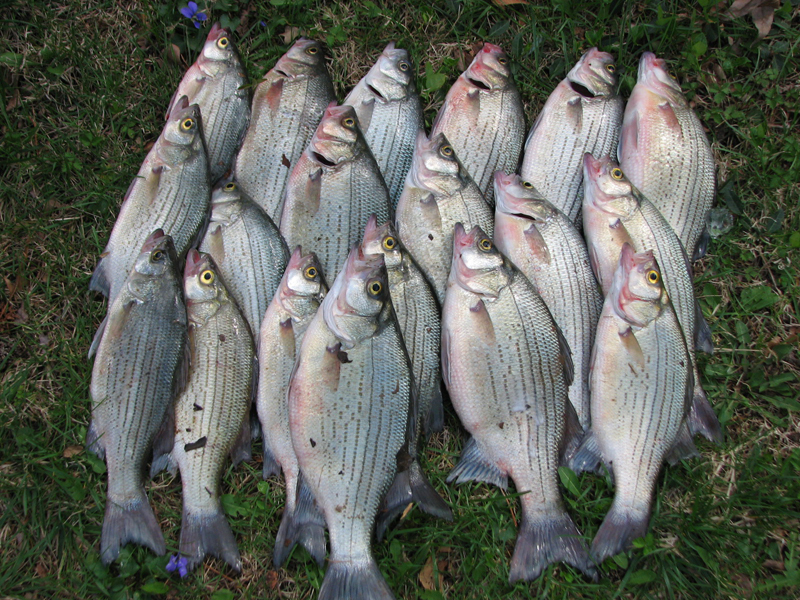 The white bass, almost all male, were on and off depending on the sky and time of day. The water, which has been high is now starting to drop and clear up. One local at Galena had brought in 15 nice males, all caught early in the day to mid day, nothing large and nothing special. He told me he really had to work for them and had caught them all on a swimmin’ minnow in white, I can verify this firsthand, visual confirmation ladies! The daytime temps in the 80’s for the last few days will make those whites really get serious about a big run. At present the sows are still holding downstream. 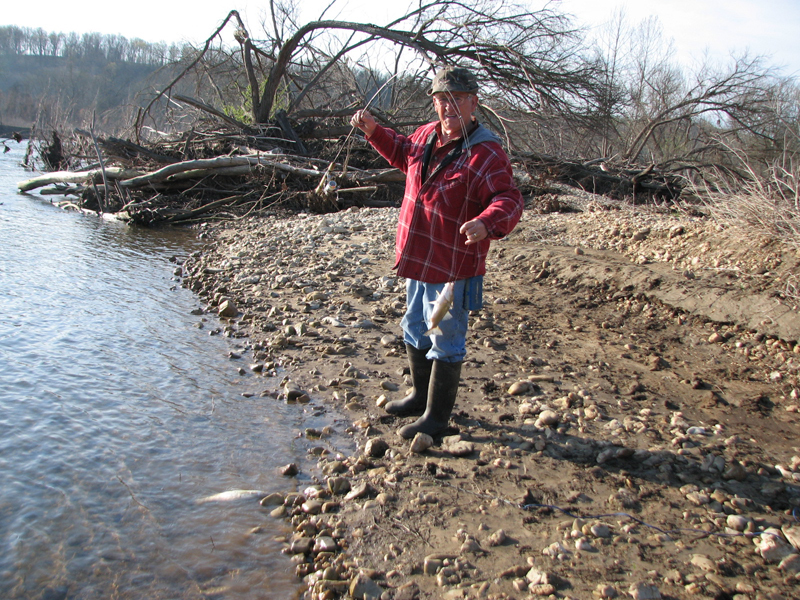 In the mouth of the Swan on Bull Shoals the story is much the same, the biggest difference is the water is very high and dingy. 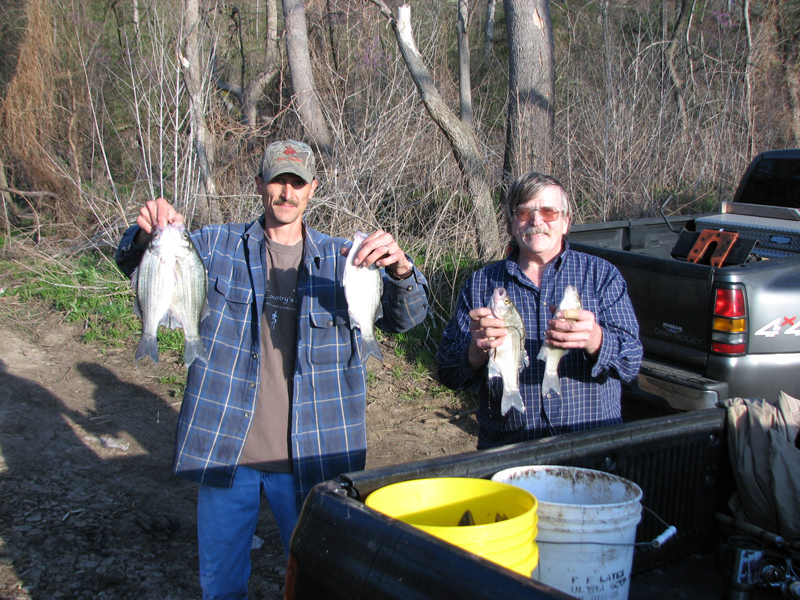 A few White Bass were spotted on Tuesday May 30, 2010 with a very few sows being caught. The traffic is light during the midweek and I have to think the run there is also still on the horizon. Walleye were being caught at night in the pothole which is not unusual with the size average to small. On Table Rock you’ll find the blacks still hammering a spinnerbait in the shallows, mostly smaller fish but it can keep you busy all day. Spotted Wayne Fowler up in and around the Viola area and he gave me the same story I had already found myself. Wayne had taken some temp reading and had found 50º water in a spot or two but for the most part it’s still in the mid to upper 40º range. Fishing is good…keep chucking. When getting my report here on Hootenton you can be guaranteed that the information is true and it’s on target, there’s no sugar coated information to get business here. This next set of videos have been added to remind you of the high water and the great spawns of the last few years. Get ready for 2010 it should be some fantastic fishing.